When most people think about Cambodia, they immediately think of the killing fields, the Khmer Rouge, Angkor Wat and Angelina Jolie. 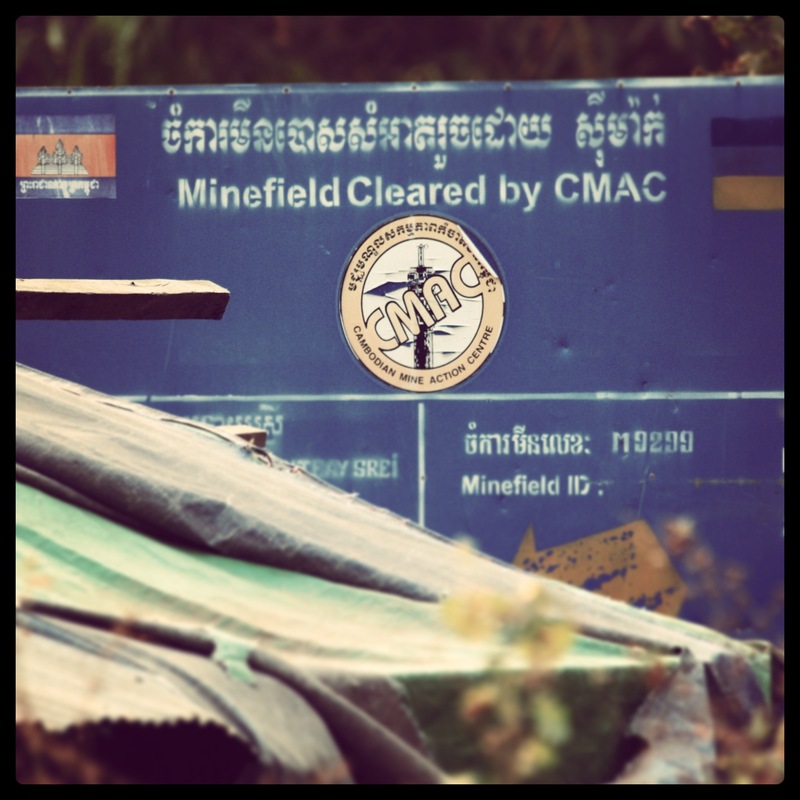 Yes, they are all incredibly important to Cambodia, its history and what it is today. 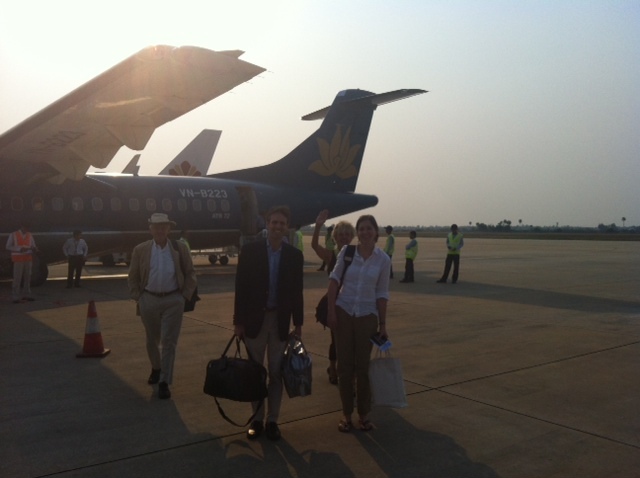 We arrived in Siem Reap, after our 4 day adventure in Laos, and walked off the plane onto the jetway. The Siem Reap airport was quaint and exactly as I had pictured it. After obtaining our visas which took up an entire page of my passport, we were met by our hotel and taken through the streets of Siem Reap. It was hot. Very hot. Surprisingly, it was the cool season! I strongly suggest going in February, before it gets into the hot season. For this reason, our days began at 6AM. Our first morning began even earlier. 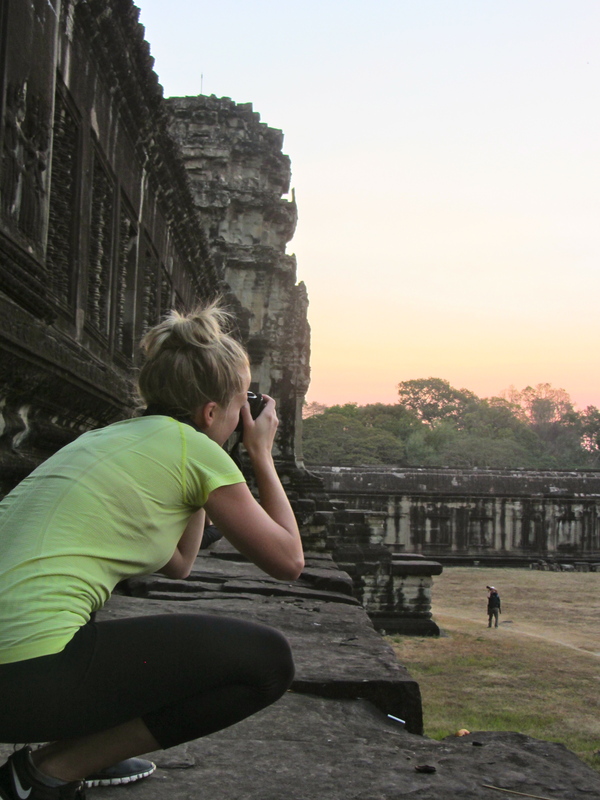 We were to see sunrise over the world’s largest religious monument, Angkor Wat. Because we had Cambodia’s best tour guide, we avoided the thousands of other people who were doing the same thing, and trekked through the jungle to the back of the temple. It was probably the most serene moment I have experienced. Aside from my husband and his family, there were maybe 5 other people waiting for the sunrise. 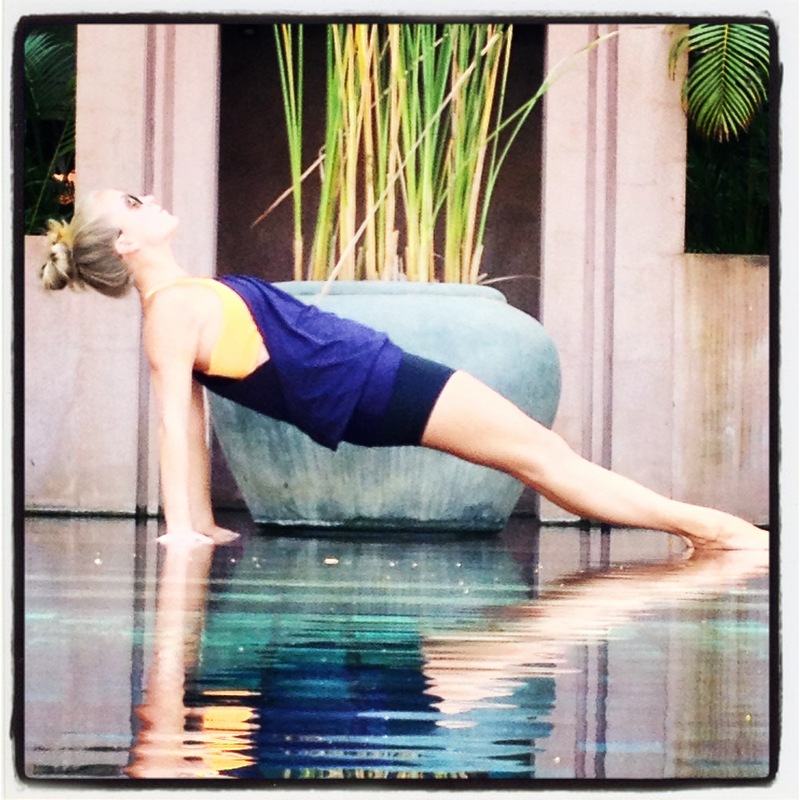 I of course took this moment to do a few teasers and planks on the walls of Angkor Wat. After the sun came up over the ancient ruins, we made our way through the entire temple. It took about 3 hours to explore the giant, and see all the headless Buddhas, which were all destroyed and stolen during the war. After our first temple visit we were brought back to the hotel for breakfast and had the hot afternoon by the pool. Our 3 days were spent exactly like this: early morning temple visits, lunch and relaxing pool and massage time, more temple visits, power nap, cocktail hour, delicious dinner, local flare, bed. Our favorite dinner was at Marum, a restaurant where they take in street children and train them to be chefs and work in the restaurant business! 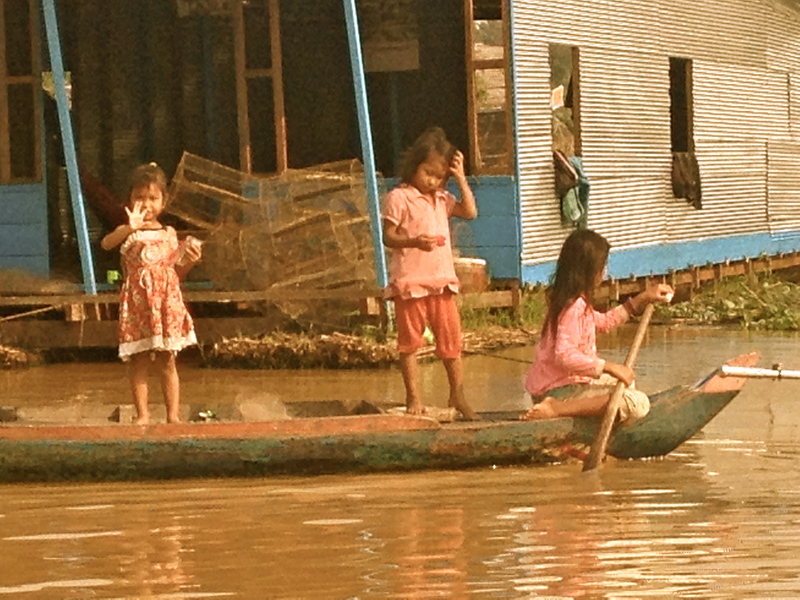 It was a great way to meet local Cambodian kids who were born into an unfortunate life, but given a second chance. You could feel the gratitude and happiness from these kids. The food was unbelievable too! 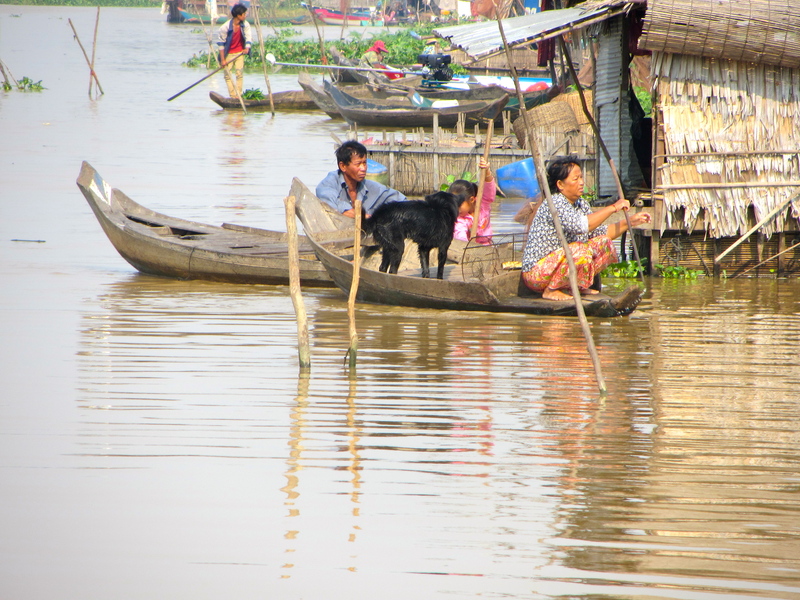 Don’t skip out on taking a boat trip to a floating village. Make sure your guide takes you to one that is not flooded with tourists. You really see how people in this part of the world live. It makes you think twice about complaining that the wifi isn’t working or that you have to go grocery shopping. The local people in the village really do enjoy your visits so be sure to smile and wave and always say ‘Sues-Day’, which means Hello in Khmer. 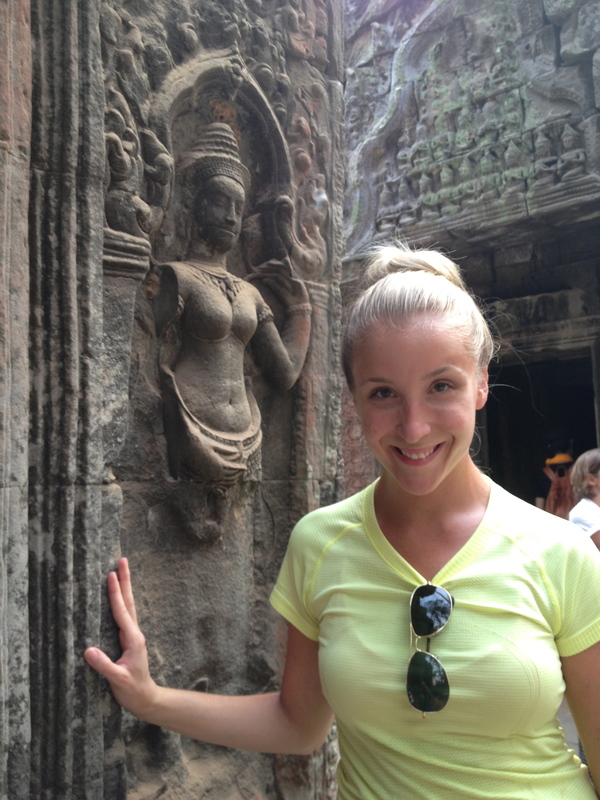 Packing appropriate clothes when visiting Siem Reap can make or break your holiday! Like I said, it’s hot hot hot, but you have to cover up! To be respectful, you should have your legs and shoulders covered. I found the best tops to wear were Lululemon’s run: swiftly tech short sleeve tee. It kept you cool while covered up! The streets of Siem Reap, especially when touring the temples, are extremely dusty. Keep your new sneakers at home, they will get very dirty. La Residence d’Angkor, Siem Reap | $$$$ A beautiful hotel right in the middle of it all, yet set in a way that makes you feel miles away from it all. Right from the start at the airport, this hotel did not disappoint! In the van we had ice cold water, cold fragrant towels and snacks! 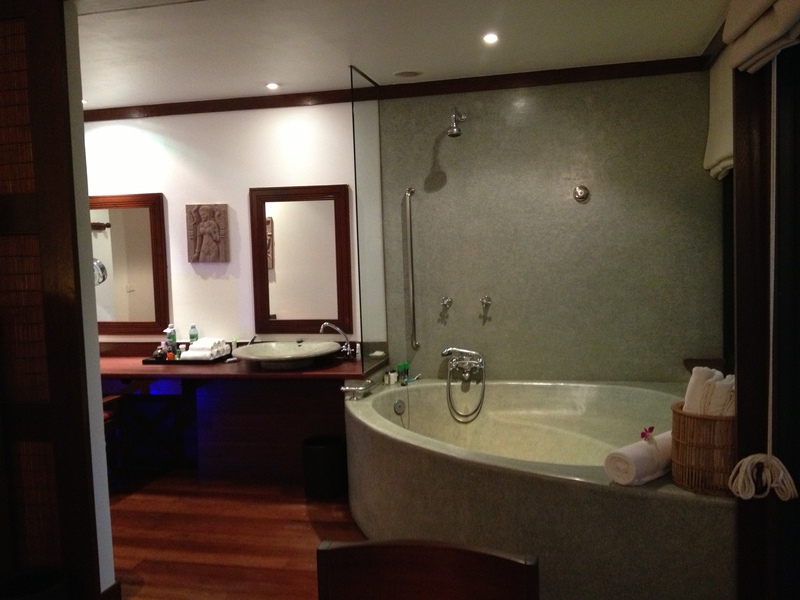 The rooms were beautiful and spacious with a huge open bathroom. Try to get a room with a view of the pool, because it really is gorgeous. The food was delicious, and the staff was always helpful. It’s an easy walk to the center of town where you can find the Angkor Night Market. Looks like you had a great trip! 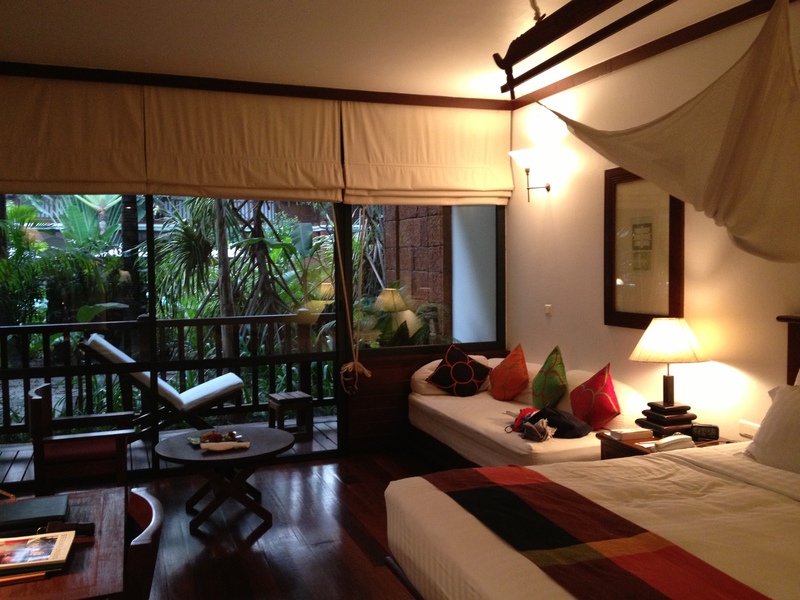 I will be visiting Siem Reap in December and will be sure to put your tips to use. Thanks for the post! Awesome Jessica! I’ll give you my tour guide info! He was excellent. See you in class!